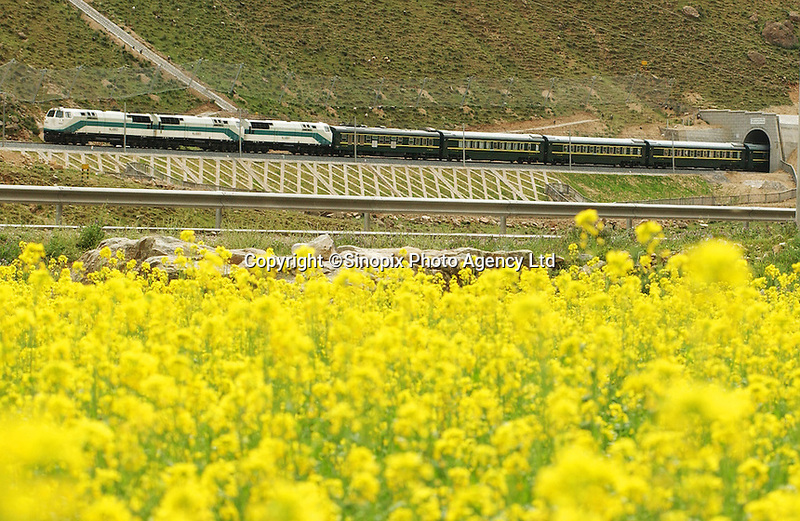 A train emerges from a tunnel on the Tibet railway in Toling Valley, Tibet, China. Some 3% of the route between Golmud in Qinghai province and Lhasa in Tibet is composed of bridges and tunnels, according to official figures. .08 Jul 2006.